This is one of those fun little projects that was inspired by a relatively similar project over here but I had a hankering for a Jute Christmas Tree and I had an extra yard stick laying around, so I thought I could put the two together and make a really cute Jute Wrapped Christmas Tree (using a yard stick as the base). 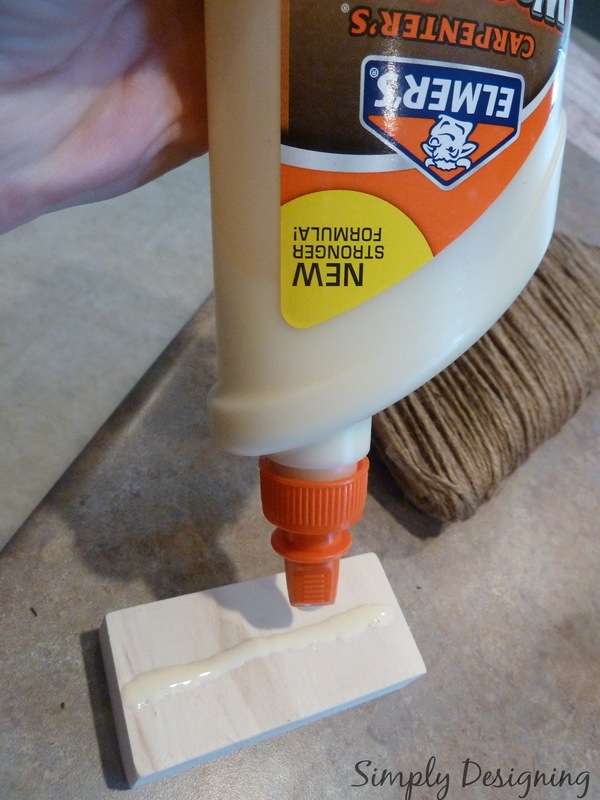 This was simple to do and I love how it turned out. 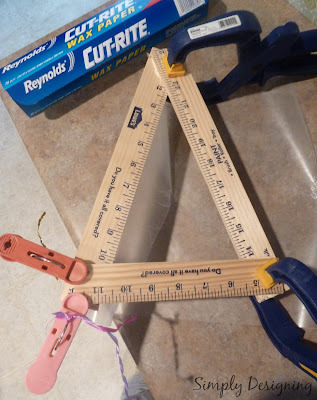 After the glue had dried, wrap your jute generously around your triangle. 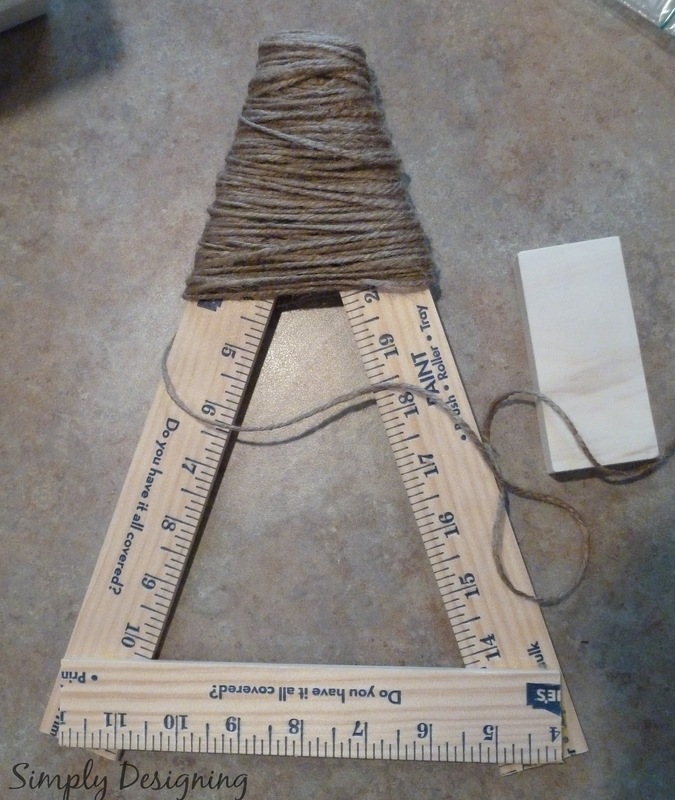 You can use a little hot glue occasionally to secure the jute in place if desired especially at the beginning and end. 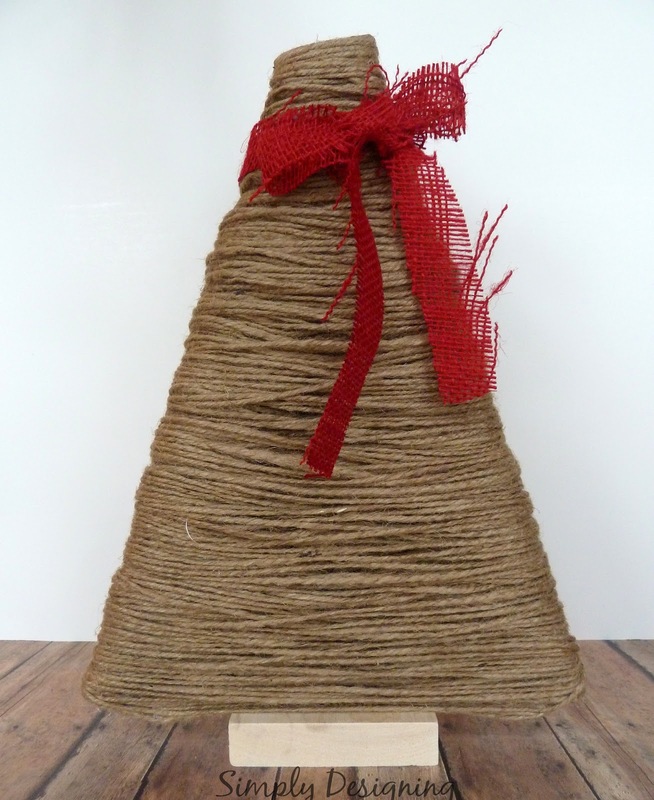 Use wood glue to secure the scrap block of wood as a base to the bottom of the jute wrapped tree. 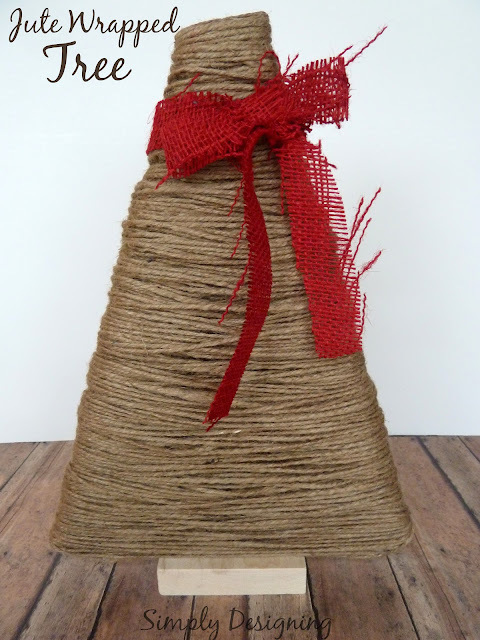 Embellish with a bow made out of red burlap if desired!